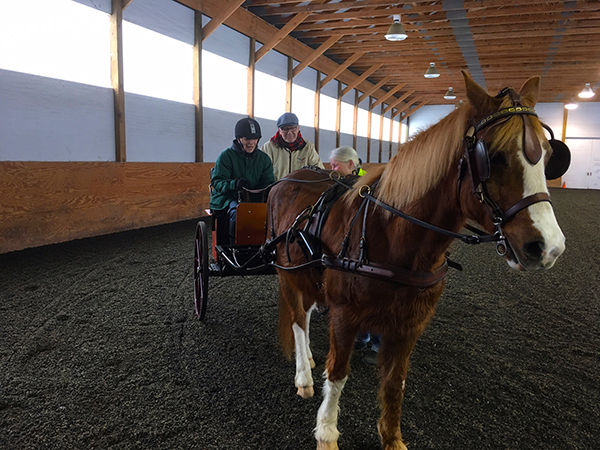 A review of a carriage driving vacation in Vermont near Woodstock with Susan Rogers Carriage Driving at Land's End Farm. Having just returned from a fantastic experience at Sue Rogers Driving School in Vermont this past weekend, I wanted to pass along my feedback. It was a great time. 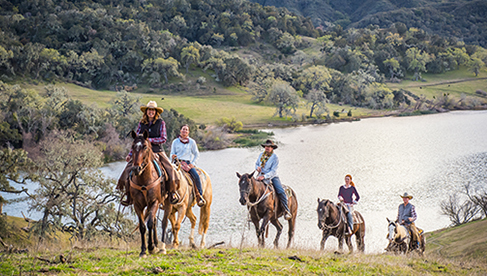 Sue was wonderful-- a terrific teacher, an accomplished horsewoman, and just a really neat person! Lynne and Gary Pollard being taught by Sue Rogers, driving Noble Gesture. Barbara Spada being instructed by Sue Rogers, driving Noble Gesture. 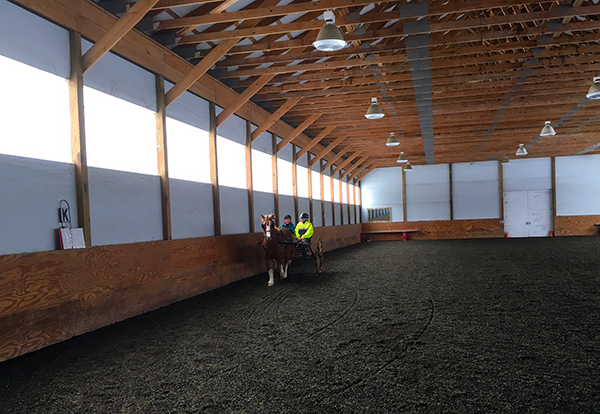 The only disappointment was the lack of driveable snow so we couldn't use her sleigh outside, but we instead spent the time in a lovely indoor arena using a couple of different carriages to learn and practice. No one was responsible for the weather not cooperating! I highly recommend this to anyone looking for a similar experience, learning a new skill or just looking to have some really great fun in a different horsey venue. 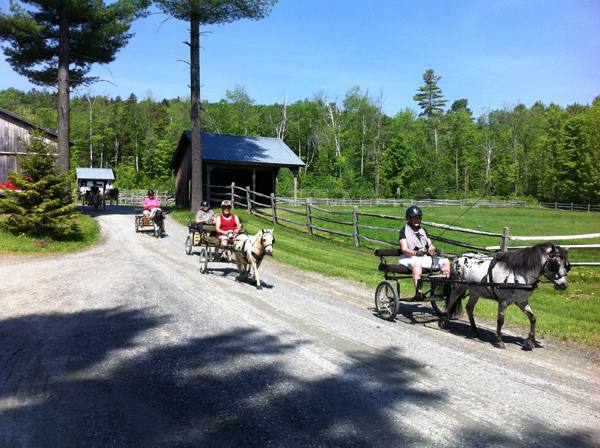 Driving Miniature horses in the summer in Vermont with Susan Rogers Carriage Driving at Land's End Farm. Photo from Susan Rogers. 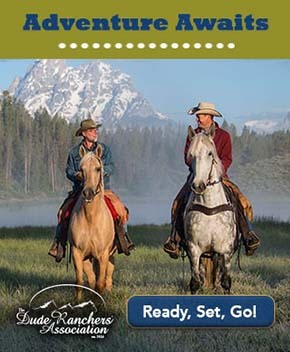 How you can go: From minis to drafts, beginner drivers to advanced, Sue Rogers offers training for horses and drivers from her Vermont farm with lodging at recommended area Vermont inns.